The father pulled out his wallet and asked why such a little boy would need so much money. The little boy ran into his room, rummaging under his bed. He returns with a wad of crumpled bills, counting out $28. He took the money from his dad and folded it up, giving it right back this father. I’m guilty of this often enough that it makes me sad. There is nothing more precious to me than my children, and the thing they want most when I am around is to play with me. Are you spending your time on the wrong things when the right way to spend your time is there in front of you? Do you miss friends, family, or fun for the wrong reasons? Make a change. Be different. Take the risks and opportunities life affords you. You’ll never regret being present in the moment. How awesome is that? I’m four chapters into this book, with many of the pages now bookmarked and highlighted, but nothing had impressed me as much as that paragraph which I read last night. Think about it. The person you most want to talk to is not the person who tells you about himself, it’s the one who asks you to tell him about yourself. We thrive when we feel important. We feel important when we think others care about us. We think others care about us when they show interest in us. We love to talk about our own lives. The most used word in the English language? “I”. That alone speaks volumes about our predisposition to talk about ourselves. 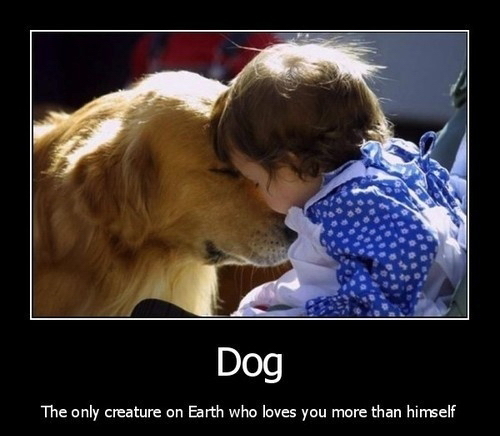 We human beings are egotistic. We are self-centered. We are selfish people. Sure, some of us have been able to overcome these tendencies and act in a giving manner, putting others’ needs first. However, in our minds we instinctively react with concern for our own person first. It’s human nature. For the record, I am as guilty of this as the next person. While you can not change your instincts, you can change your output. Great leaders are not the ones who command others, they are the ones who motivate others. Want to be a leader? Stop talking about yourself. Begin asking about them. You gain more by caring less about yourself, and more about others. Can you imagine how great it would feel if everyone you talk to tomorrow were wagging their figurative tail and wanted to dive deeply into conversation about you? It would feel pretty darn good, right? Kind of make you feel on top of the world. Well, why not be that person to someone else? Make it a point tomorrow to turn conversation about you into conversation about them. Use “I” less. Don’t chime in with a story of your own experience; ask more questions about them. See where the chat goes and how good you feel about it. I’m betting you’ll make that certain someone’s day and, in turn, the feeling will give you your own set of warm fuzzies. 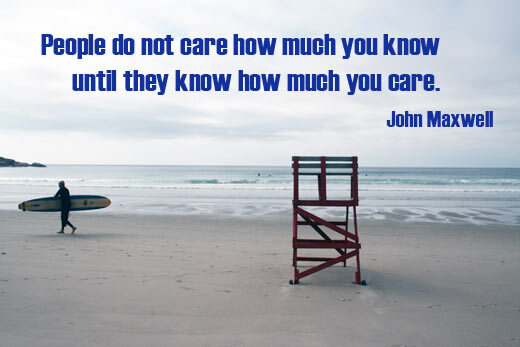 People respond when they know they are cared about. And really, who couldn’t use their own set of warm fuzzies?